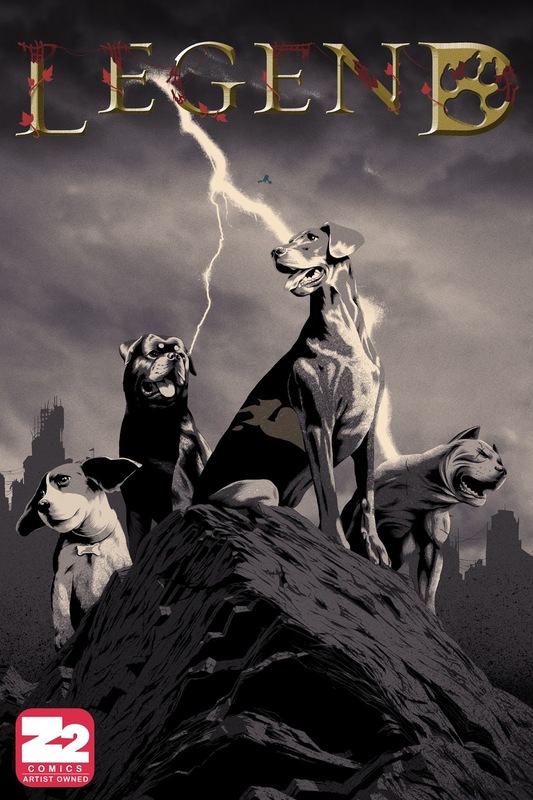 Sam Sattin and Chris Koehler are teaming up for Legend, a post-apocalyptic animal story exploring a world ruled by our once-domesticated cats and dogs. It'ss due out this May from Z2 Comics. Since dogs actually see the world differently than we do, Chris’ use of color echoes Sam’s subtext, bathing the canine world in a chromatic, saturated glow.